Tagline Terror beyond your wildest dreams. 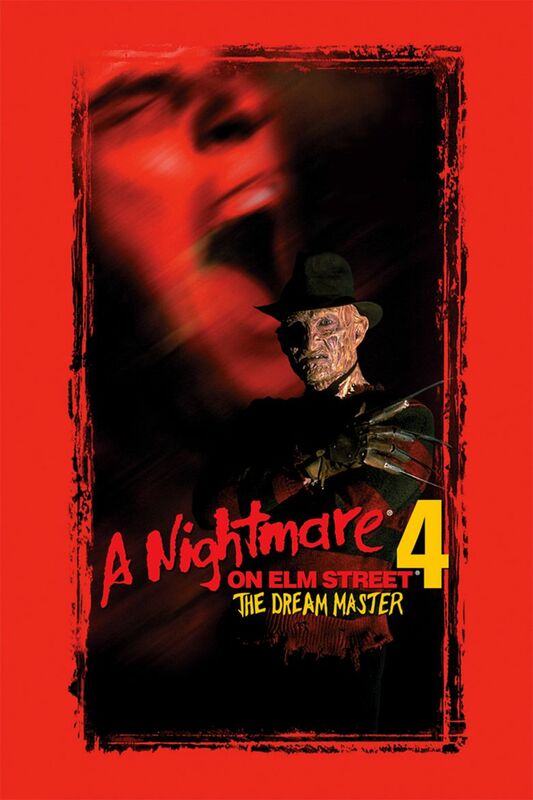 A Nightmare on Elm Street 4: The Dream Master is a 1988 American slasher film and the fourth film in the Nightmare on Elm Street series. The film was directed by Renny Harlin, stars Robert Englund, Lisa Wilcox and Danny Hassel. It is the sequel to A Nightmare on Elm Street 3: Dream Warriors and is followed by A Nightmare on Elm Street 5: The Dream Child. The film was released on August 19, 1988, to generally mixed reviews, grossing over $49.3 million in the US, making it the highest-grossing film in the franchise until the release of Freddy vs. Jason. Since the events of the previous film, Kristen, Kincaid, and Joey have been released from Westin Hills and are living lives as normal teenagers. However, Kristen believes Freddy is coming back and summons Joey and Kincaid into her dreams; they warn her that dreaming of Freddy might cause his return. The next day, Kristen meets up with her boyfriend, martial arts enthusiast Rick Johnson, and their friends: Rick's sister Alice; Sheila, an asthmatic genius; and Debbie, a tough girl who doesn't like bugs. 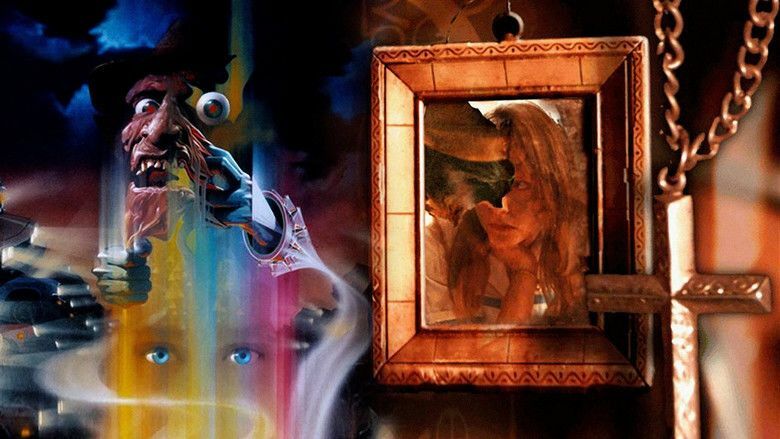 That night, Kristen stays awake to keep from dreaming, but Kincaid falls asleep and awakens in a junkyard, where Freddy is accidentally resurrected. Kincaid tries to fight off Freddy, but Freddy kills him. He then tricks Joey into thinking a model is swimming in his waterbed before attacking him. At school, Kristen panics when she notices Joey and Kincaid are missing and is knocked out. She is nearly attacked by Freddy when the school nurse wakes her up. She later tells Rick, Alice, and Alice's crush Dan Jordan about Freddy. At dinner, Kristen notices her mother Elaine had slipped her sleeping pills, and she falls asleep. In her dream, Freddy overcomes Kristen's attempts to repel him and forces her back to his home. Being the last of the Elm Street children, Freddy goads Kristen into calling on one of her friends, so that his fun can begin anew. She calls Alice into her dream, and Freddy kills Kristen by throwing her into his boiler. Waking up and sensing something wrong, Alice takes Rick to Kristen's house, only to see her burning to death in her bedroom. Later, Alice falls asleep during class and inadvertently brings Sheila into her dream. Freddy kills Sheila and makes it look like an asthma attack. Rick starts to believe Alice, but the following day, he has a dream and is killed. With each death, Alice begins to change, gaining the abilities and personalities of her lost friends. She plans with Debbie and Dan to fight and kill Freddy together, but when her father Dennis keeps her in, Alice falls asleep. Through her, Freddy selects and stalks Debbie, transforming her into a cockroach and crushing her in a roach motel. Using Debbie's temper, Alice tries to ram Freddy but collides with a tree in reality. As Dan is rushed into surgery, Alice returns home and readies herself to join him and face Freddy. Alice rescues Dan, and the two find themselves in an old church in their dream. Dan's injuries in the dream prompt his surgeons to wake him up, leaving Alice alone to face Freddy. He has the upper hand due to his experience, but she uses her friends' dream powers against him. When he is about to be victorious, she remembers a nursery rhyme called "The Dream Master" and forces Freddy to face his own reflection, causing the souls within him to revolt. The strain tears Freddy apart, releasing all of Alice's friends' spirits and leaving him a hollow husk. Months later, Dan and Alice have begun dating, and as they approach a fountain, Dan tosses a coin in. For a moment, Alice sees Freddy's reflection in the water, but she ignores it. Dan asks her what she wished for, but Alice does not tell him. 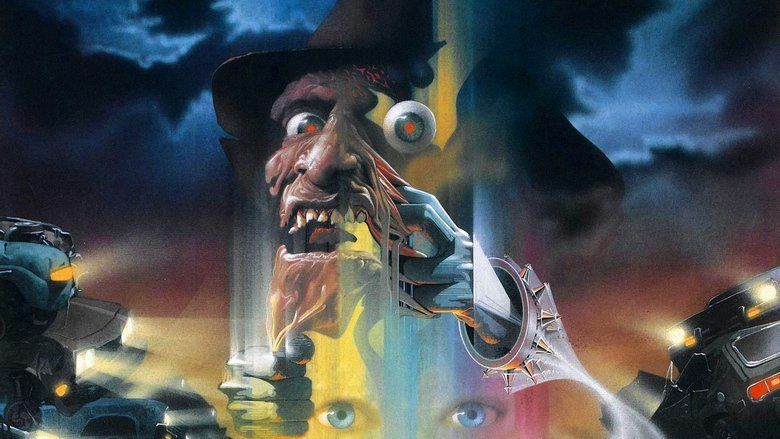 This film features the return of the car junkyard set from A Nightmare on Elm Street 3: Dream Warriors. This set was conceptualized by production designer Mick Strawn, who worked as art director and handled effects on the previous film. Strawn also came up with the "truck crash" scene and the "kaleidoscope hallway." The junkyard set also holds the distinction of being filmed at the same location for both films. The set was built and filmed at a landfill in Pacoima, California. Released on August 19, 1988, on 1,765 theatres in North America, on the first weekend, the film ranked No.1 grossing $12,883,403; this was the highest opening of the franchise until the release of Freddy vs. Jason. On the second weekend, the film still ranked No.1, grossing $6,989,358. It also sat the first place on the third weekend, then sets No.2, No.4 and No.6 in the next three weeks, until it finally dropped out from the Top 10 list as No.11 on the seventh weekend. 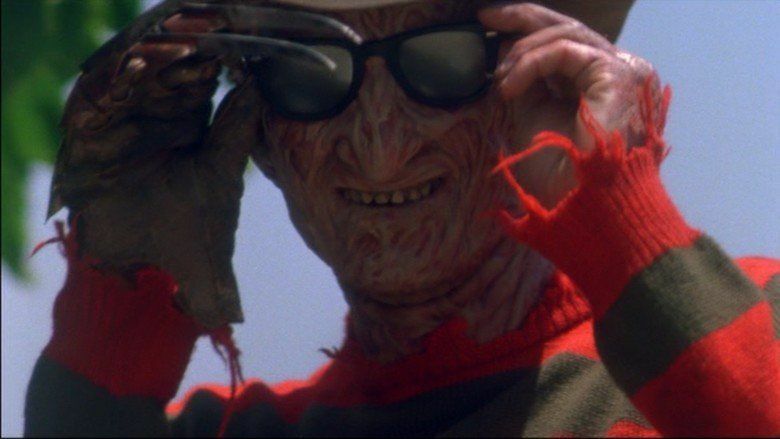 The film eventually grossed $49,369,899 at the US box office, making it the 19th-highest-grossing film of 1988, and the highest-grossing Nightmare on Elm Street film until Freddy vs. Jason's release in 2003. It is currently the third-highest-grossing A Nightmare on Elm Street film. The review aggregator website Rotten Tomatoes reports a 56% approval rating and an average rating of 5.2/10 based on 27 reviews. Robert Englund received a Saturn Award nomination for Best Supporting Actor. Wes Craven, the creator of the franchise and the director of the first film, also give the film a positive comment in the documentary Never Sleep Again: The Elm Street Legacy; he says, "...I think Renny Harlin is a gifted director, he did so much that the other directors cannot do..."
The music score was composed by Craig Safan. Sea Hags – "Under the Night Stars"
The Angels – "Standing Over You"
Jimmy Davis & Junction – "My Way Or The Highway"
Blondie – "Rip Her To Shreds"
Nick Gilder – "Rebuilding the Big House"
The Fat Boys featuring Robert Englund performing "Are You Ready for Freddy" showing one of the Fat Boys inheriting the Elm Street house and staying the night in order to complete the inheritance, even including Freddy rapping and audio of Heather Langenkamp's famous line "don't fall asleep" from the original film. This video can be found on bonus disc, The Nightmare Series Encyclopedia, from The Nightmare on Elm Street Collection, released by New Line Platinum Series, on September 21, 1999. Vinnie Vincent Invasion performing "Love Kills", a music video featuring scenes from The Dream Master. It is not featured on any DVD release, possibly due to rights issues, and the music clip played in the film almost seems to be turned down, as it is extremely quiet.